Milwaukee offer a range of lighting equipment ideal for illuminating darkened areas whether its a jobsite, large work areas, confined areas or just for general use, we are sure you will find the right lighting equipment for you. If you are looking to illuminate outside areas then the M18ONERSAL-0 is ideal with its 0-5400 lumens which can be used no matter the weather. M18ONESLSP is perfect to use for illuminating large work areas or confined areas with its lumens that can be adjusted. M18AL-0 is ideal for job sites with the 8 high-quality LEDS which provide 1,100 lumens and up to 1,300 lux. Looking to illuminate an outdoor area, large workspace or confined space? Milwaukee have a range of lighting equipment suited to a number of applications. Milwaukee lights can be used in tough working conditions and are built to last, so you know that you are getting quality with this brand. Milwaukee area lights are capable of illuminating large job sites with 8 LEDs which can provide 1,100 lumens and up to 1,300 lux. The octagonal shape of the Milwaukee LED work light means that it can be used at multiple angles and it is durable because of the compact roll cage design, ensuring that it can withstand the tough demands of a workspace. 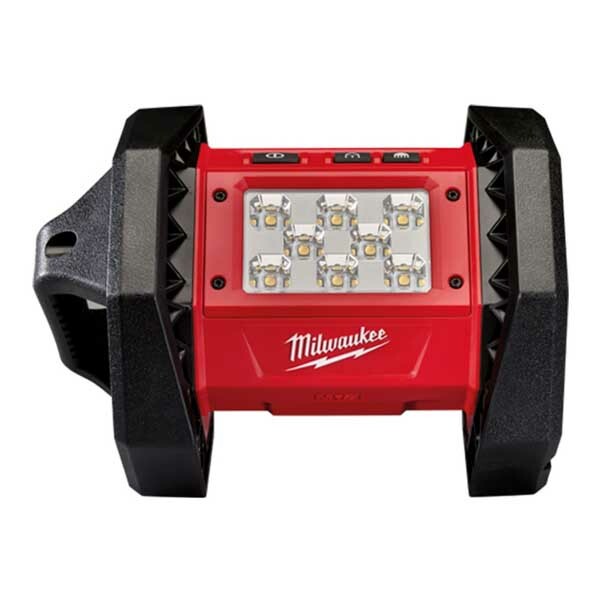 Additionally, the Milwaukee LED lights can last up to 8 hours on a single charge thanks to the M18™ REDLITHIUM™ battery. Milwaukee flood lights can be used in all conditions to illuminate large darkened areas with 0-5,400 lumens. A constant beam and optimised colour temperature is possible thanks to the impressive TRUEVIEW™ high definition light output technology. The Milwaukee M18 work light is another excellent device for providing light for overhead applications with up to 4,400 lumens, but it can also be turned down to 1,000 lumens for more confined spaces. This makes it a versatile device with 180° and 360° electronic light control. The Milwaukee lights range from SGS Engineering has a device for every requirement whether you are a professional looking to illuminate an entire workspace or an amateur seeking a reliable light source for smaller spaces.